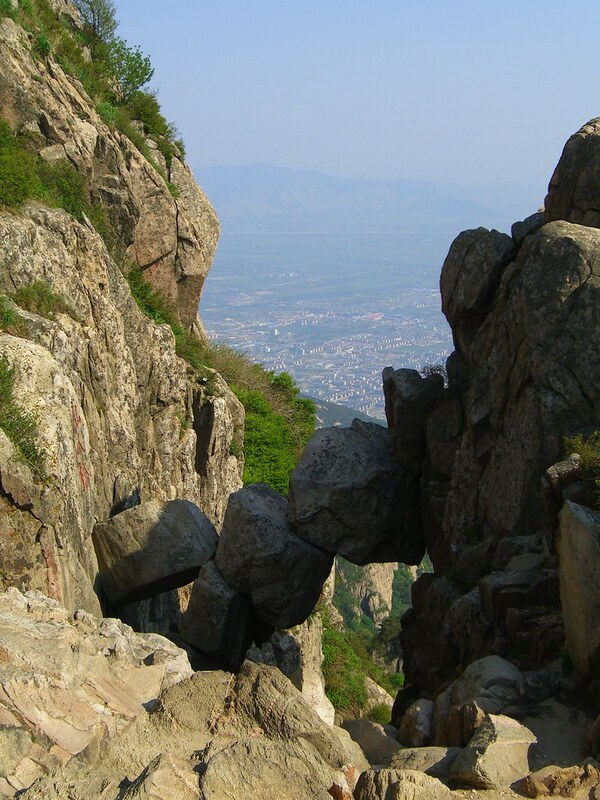 Mount Tai in the Shandon Province, China has had cultural and religious significance for thousands of years. It is one of the five sacred mountains of China and is associated with the dawn, birth and renaissance. 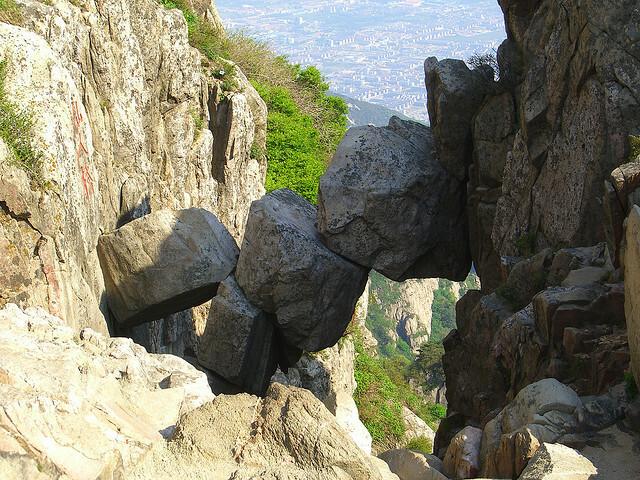 As you progress up the mountain you will come across this – The Immortal Bridge. 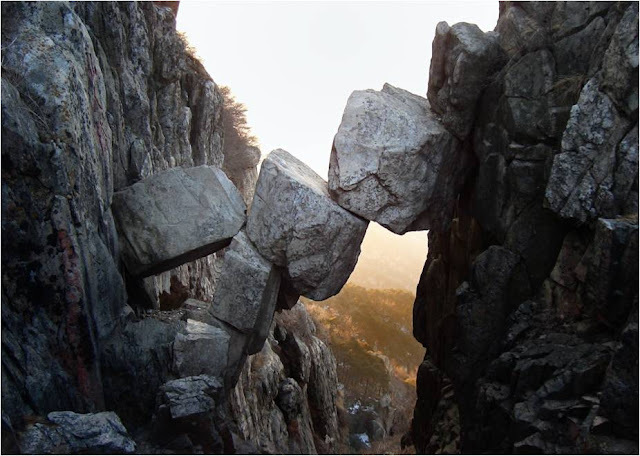 The Immortal Bridge is composed of three huge rocks and several smaller ones. Below it is a valley and to the south is a seemingly bottomless abyss. No one knows quite when these enormous rocks fell in to their current place but it is quite likely they have been like this since the last ice age.